Personal Training Southfield: How Can We Help You This Summer? The temperatures are rising every day, and we’ll be experiencing the hottest days of the summer before you know it. If you’re like most Americans, then you’re probably trying to get in shape in order to look your best this summer. Maybe you’re about to embark on a tropical vacation, or perhaps you’re beginning to train for a marathon in the fall. Whatever your goals may be, A.M. Total Being Fitness is here to help you achieve them. In today’s post, we’ll review a few of the services we offer here at A.M. Total Being Fitness. 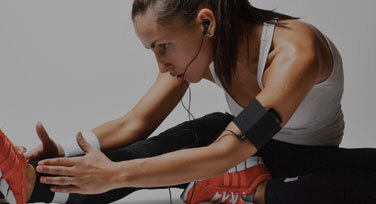 Read on to learn more about the services we offer at our Top Rated Local® fitness center, and don’t hesitate to reach out to us for a free fitness assessment! You need to know your current fitness level if your goal is to improve your health and well-being through personal training. At A.M. Total Being Fitness, we believe that fitness is more than a measurement of how much you can bench press or how quickly you can run a mile — your lifestyle, diet, and emotional well-being are all important components of your fitness. Many people believe that you get in shape by spending time in the gym, but the food you eat is just as important as your training regimen. You’ve probably read conflicting information in health magazines and heard about new fad diets on the radio, and our mission is to dispel and clarify the misinformation about nutrition that is all-too-prevalent in the media. If you’re like the majority of our clients, then you’re probably wondering what you should be eating, how much you should be eating, and when you should be eating. 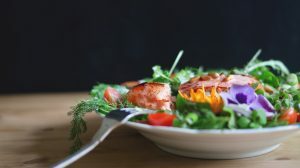 Our nutrition counseling program is designed to educate and empower you to make optimal decisions that improve your health and overall well-being. We’ll help you gauge your metabolism and determine how many calories you need to keep up with your personal training regimen, making your goals that much more attainable. 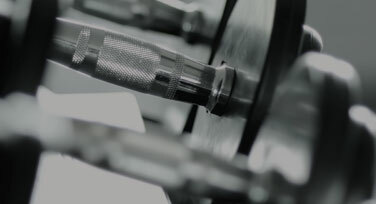 V02 max testing is one of the most unique services we offer at our fitness center. V02 max testing is one of the best measures of your athletic abilities, as it measures your cardiovascular health and the maximum amount of oxygen your body can process at once. As we mentioned in the first section, knowing your baseline V02 max will allow you and your personal trainer to develop a training plan that helps you reach your goals. Sprinters, marathon runners, and athletes who engage in high-intensity interval training can all benefit from V02 max testing. Even if you’ve reached your body’s maximal oxygen intake capabilities, knowing your V02 max will allow you to train effectively and stay in top shape. A.M. Total Being Fitness offers personal training services that are unlike anything else you’ll find at fitness centers in Southfield. We take the results from your initial fitness assessment and use them to develop an all-inclusive personal training program that meets you where you’re at and targets your top goals. Each personal training session is 50 minutes in length, during which you’ll receive the direct attention of one of our talented and friendly personal trainers. 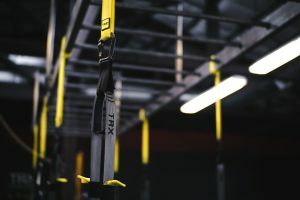 We know that it can be intimidating to walk into a fitness center for personal training, especially if it’s been a significant amount of time since you were physically active. However, we strive to make our fitness center an inclusive and welcoming environment for everyone. You’ll find that unlike other fitness centers in the area, we hold our personal training sessions inside of a private studio filled with individuals who are just as passionate about improving their health and well-being as you! Our personal trainers will monitor your progress and adjust your personal training plan as necessary. If you feel overwhelmed and overly sore from the first few sessions, then we may focus on stretching and more foundational movements before moving you into a more rigorous personal training regimen. If you’re exceeding our expectations and mastering the workouts we plan for you, then we may come up with new and creative workouts for you to take on. No matter how rigorous your personal training program is, our personal trainers are here to be a source of support, safety, and motivation. We hope that this post has helped you to understand what A.M. Total Being Fitness has to offer. Whether you need help with your nutrition or you’re looking for a comprehensive personal training package, we have the resources you need to achieve your health and wellness goals this summer. Keep an eye out for future posts in which we’ll continue to provide you with more information about the services we offer at our Southfield fitness center. If you’re interested in learning more about A.M. Total Being Fitness, then please get in touch with us at 248-251-0801 or use our online contact form to request more information! We look forward to speaking with you soon.